It's been reported that the long awaited Ice Cream Sandwich update for the Google Nexus S will be hitting the handset in the next few weeks. 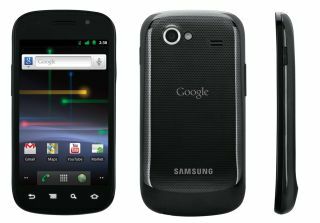 The Nexus S was next in line to receive Ice Cream Sandwich last year, after the launch of the flagship Android 4.0 handset the Samsung Galaxy Nexus. We reported back in December that Google had pushed back its global roll out of Ice Cream Sandwich for the Nexus S as it wanted to monitor feedback from the few Nexus S users who did receive the update. According to a trusted Engadget source an official Android 4.0 update for the Google Nexus S is set to arrive in the next few weeks. It's not clear what relationship the source has with Google, so we're not getting too excited over the news, but with the likes of Samsung and HTC finally getting round to rolling out Ice Cream Sandwich it would make sense for Google to sort itself out. Ice Cream Sandwich has had a slow start in the mobile market, but we are now seeing more and more handsets being released using the latest version of Android and it looks set to be a dominant force in 2012.